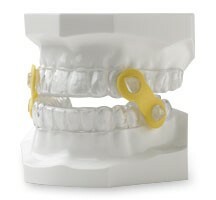 For patients that cannot tolerate a CPAP machine or for those patients that do not have sleep apnea but who do snore, we can make a dental appliance to hold the jaw forward. 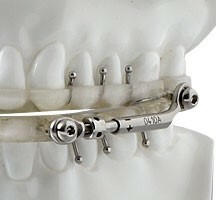 The technical term is a mandibular advancement device or MAD. The goal is to move the tongue off the back of the throat, which has the effect of opening the airway. 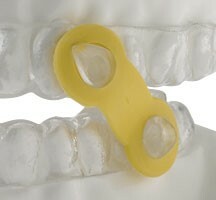 The airway can also be opened vertically, which is a fancy way of increasing the space between the upper and lower teeth. 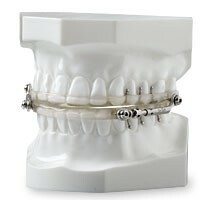 The most effective sleep apnea appliances need to be custom made. The process is started by taking impressions and then pouring up a model. That model is then sent to a lab that makes the custom dental appliance on the models, which are an exact duplication of your teeth. 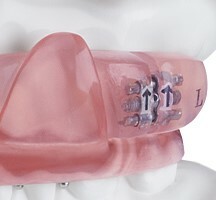 There are several different appliances and each has its unique advantages and disadvantages but they all have the same effect, which is to open the airway, and they all must connect the upper appliance to the lower appliance, which is how the lower jaw is moved forward to open the airway. 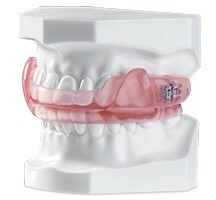 We use the following sleep apnea appliances, which are presented in alphabetical order. ually start with the more elastic straps and then titrate the appliance forward by using more rigid bands. Titrate is a fancy word that means adjusting and modifying. Titration is necessary to be able to adjust the appliance if we need to more the lower jaw forward to to increase the vertical height, which is also an option for opening the airway.